And the next Dr Who is? Discussion in 'Visual Arts' started by Gibson67, Jul 16, 2017. It's going to be a girl? Why? Has it ever even been a girl before? The Master has been a woman for all of Capaldi's run. I guess the Doctor got inspired by their friend. No, it is a gimmick unfortunately. 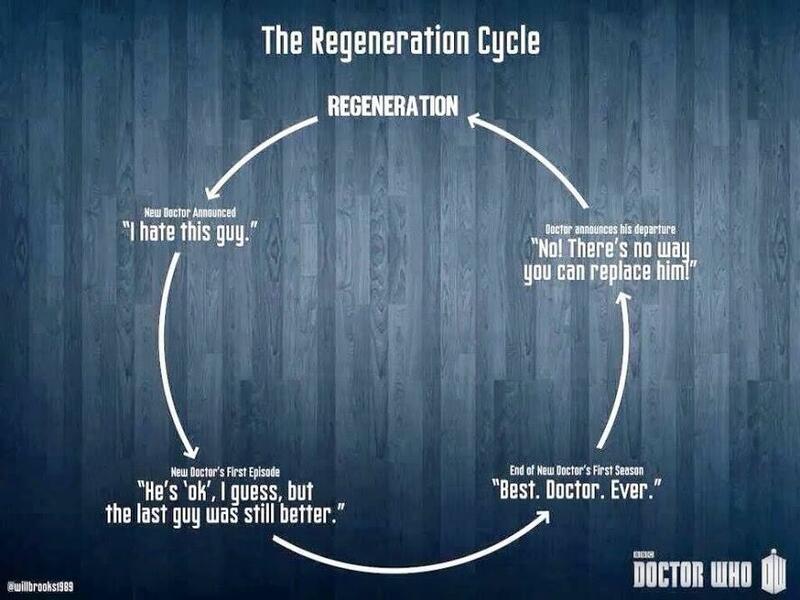 For me, the show ended when Sylvester McCoy left, maybe the Paul McGann audios. I think of NuWho as kind of a parody. Pieter Kozak, goodiesguy and MikaelaArsenault like this. Good choice. Jodie's a great actress. Loved Peter Capaldi in the role. He'll be a tough act to follow. zobalob, Siegmund, andybeau and 2 others like this. This is interesting. The show needed some new life. Dusty Chalk and andybeau like this. I don't understand why it is a gimmick to cast a person whose gender is the same as over 50% of the population. Now, if they cast the animated PuppyMonkeyBaby I think that could be called a gimmick. Sondek, zobalob, Ninja Bomber and 8 others like this. Thwacko, GrahamBW, alankin1 and 11 others like this. goodiesguy, Chris DeVoe, Nobby and 2 others like this. They need to update this. "Guy", "him"
GrahamBW, empirelvr, keef00 and 5 others like this. Just saw the reveal video. Awesome, and I haven't watched regularly since Colin Baker! andybeau and Scopitone like this. goodiesguy, Rooster_Ties, tkl7 and 3 others like this. Good for her and us fans. She's an excellent actress and with her youth will bring some vim and vigor. It fits in with the whole resurrection of the DR Who series as the Drs female companions have become ever stronger in their presence and importance in the show rather than just eye candy. Haristar, andybeau, Mazzy and 2 others like this. Thwacko, zobalob, Chris DeVoe and 22 others like this. First the girl in the Star Wars movie, now this. grasp fresher concepts in general! goodiesguy, Damien DiAngelo, keef00 and 3 others like this. razerx, Leviethan, Dusty Chalk and 3 others like this. I'm looking forward to this, she is great in Broadchurch. walrus, andybeau and Mazzy like this. I'm just happy we have a new show runner. I'm not thrilled about the new Doctor but I'm willing to give her a chance. I want to the show go on and get better if it can. Why? Because it's about time. danner, walrus, MikaelaArsenault and 1 other person like this. MikaelaArsenault and andybeau like this. Don't understand that casting a great actor (actress) is ever a gimmick. zobalob, LivingForever, Dusty Chalk and 4 others like this. Really looking forward to this, she is a great actor. I loved Missy so this has got to be good for the show. MikaelaArsenault and ibanez_ax like this.